The year is 1999, it's the distant future, and a cross-country road race has captivated the nation. The racers are all serial killers, their cars only run on human blood, and its host is an unstoppable foppish ghoul. 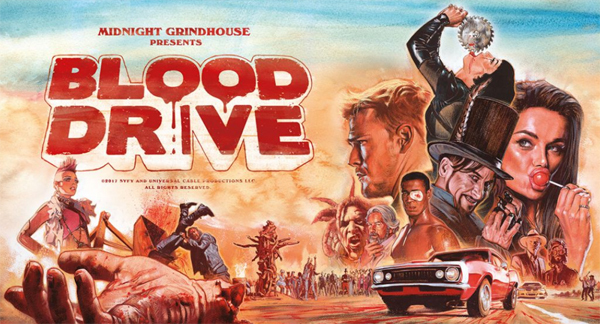 That's the premise of "Blood Drive," a one-season-wonder television series from SyFy, and every episode plays out like a different grindhouse cult classic genre. "Blood Drive" is one of the most outlandish television series ever developed, but could it be that it as also... really, really good? Could it be that "Blood Drive" was even... Canceled Too Soon? You'll find out in the latest episode of the Canceled Too Soon podcast!